I was licensed in 1963 and qualified half a year before being 18 for my extra class license. I worked mostly HF and hold DXCC. I have done some 144 MHz contesting since the late sixties and for the last few years I have been in OZ9EDR/OZ5W contest team. I have no education in electronics, but hold bachelor degrees from the Copenhagen Business School of Commerce in public administration and organisation, strategy and planning. I am employed in the computer business, so my texts are based only on my leisure time study of the referenced literature and on my experience from the bands. I know my words are not the whole truth, but I hope they come closer to "nothing but the truth". Here is a list of my publications and link to a lecture with sound and overhead slides on contest techniques I gave at the Scandinavian VHF/UHF meeting 1997 at Öland. Contest techniques, mostly for VHF and UHF http://ham.te.hik.se/~sk0mt/contest_palle_oz1rh_28_56_97-05-10.ram I am not maintaining this link myself. This link worked Nov 19th, 1999 but was dead in June 2002. Troposcatter inside and out – 700 km QSO any time: Weinheim: Skriptum der Vorträge, 1994. In those days my pc and WordPerfect could not handle the graphics I wanted, so the lecture was done with overheads where most of the graphics had to be photocopied (cut and glue paste =;). 5 years later the lecture was enhanced and presented using PowerPoint. The text for the conference proceedings was done in Word97 and is available through the link above. 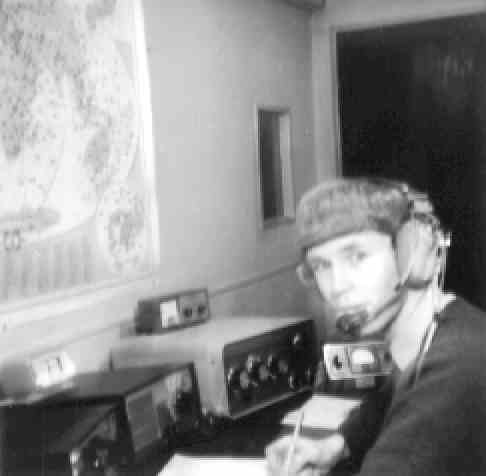 My lectures on Stacking of beams, Computer optimising of yagi antennas, General propagation on VHF and UHF and Internet for hams was done only with overheads and no manuscript was ever written. Thus nothing to download, sri. This page was created in Word97 in ½ hour and some links was added later with FrontPage Express. I hope you do not mind the lack of design. Use the links and enjoy my text/speech instead. Updated: April 12, 1999 and Nov 19th, 1999, Dec 29th, 1999 and June 23rd, 2002.